There are a number of key features and architecture changes in SSRS 2008 that solutions providers can advantage of, including a higher throughput and on-demand processing. Solutions provider takeaway: Find out the vastly improved features SQL Server Reporting Services (SSRS) 2008 has over SSRS 2005 and why they will make it easier to work with customers' reports. SQL Server Reporting Services 2008 introduces an updated architecture and new reporting features on top of SSRS2K5. The result is a better experience for report designers and end users of reports. It is also easier for IT staff to manage the SSRS deployment. This chapter covers the new features and architecture changes. SSRS 2008 can handle up to three to four times the number of concurrent users on the same hardware as SSRS2K5. SSRS 2008 throughput is significantly better than SSRS2K5 at any level of load. In a scale-up environment with higher memory and parallelization, SSRS2K5 used to start failing with errors at very high level of parallel threads. SSRS 2008 continues to work with higher throughput than 2005. Report design enhancements in SSRS 2008 include an advanced report layout structure called Tablix, data-visualization controls for charts and gauges, and a better report-authoring design experience in the Business Intelligence Development Studio (BIDS). In addition, a new Report Builder 2.0 tool is available as a web download for end users to create reports against SSRS 2008. SSRS 2008 has added support for exporting reports in Microsoft Office Word format and has enhanced rendering to Excel and CSV. There is better consistency of report layout and pagination between different report-rendering formats in SSRS 2008 over SSRS2K5. SSRS 2008 also extends support for SharePoint integration, which was first made available in the SSRS2K5 SP2 release. Features in Report Server native mode such as data-driven subscriptions and URL access are now supported in SharePoint mode, too. Report Server is no longer hosted in Internet Information Services (IIS) and can independently take care of its networking and memory management needs. Unlike SSRS2K5, reports are no longer bound to memory on the box because the report engine will page memory to disk as required. Therefore, large reports don't fail or starve smaller reports of memory. Memory limits can be set to better control how much memory is used by SSRS. The report-processing engine can now do on-demand processing. For example, in a 100-page report, each page layout is computed only when the user actually wants to view the page. A new report-rendering object model provides more consistency in layout and pagi-nation between report-rendering formats. One of the key design goals for Microsoft was to not break anything with SSRS 2008 architecture changes. Deployment topologies haven't changed, and SSRS 2008 continues to support single-instance and scale-out deployments. Upgrades from SSRS 2000 and SSRS2K5 to SSRS 2008 are supported. Finally, configuration and management tools for SSRS have been updated in 2008 to support the new architecture. The architecture changes, updates to SSRS tools, and new features are described in this chapter. Take a look at Figures 4.1 and 4.2 to compare the architectures of SSRS2K5 to SSRS 2008. SSRS server applications and services have been combined into a single Windows service. This makes SSRS easier to deploy, configure, and manage. Report Server is no longer dependent on IIS. It now includes components and tools to manage any relevant IIS capabilities. 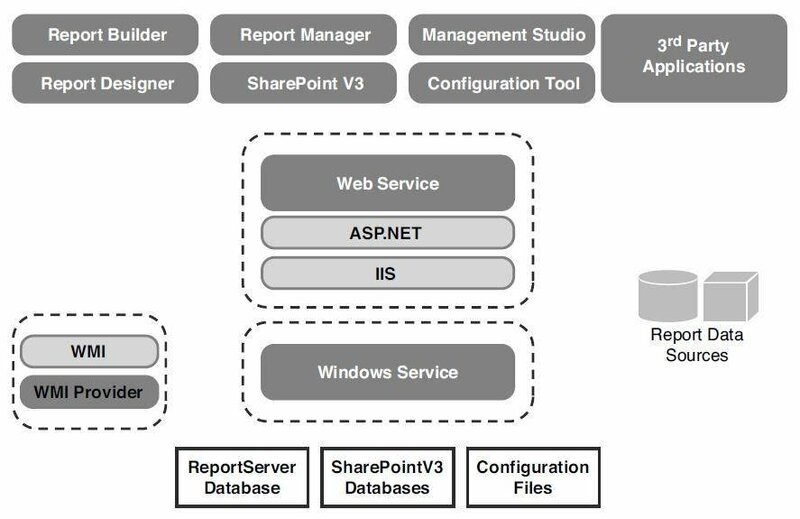 Report Server uses shared components from SQL Server, such as SQL CLR for ASP.NET management, network interfaces, and memory management capabilities. This implies that any advances in administration and logging in SQL Server can be leveraged in SSRS in future releases. FIGURE 4.1 Reporting Services 2005 architecture. FIGURE 4.2 Reporting Services 2008 architecture. 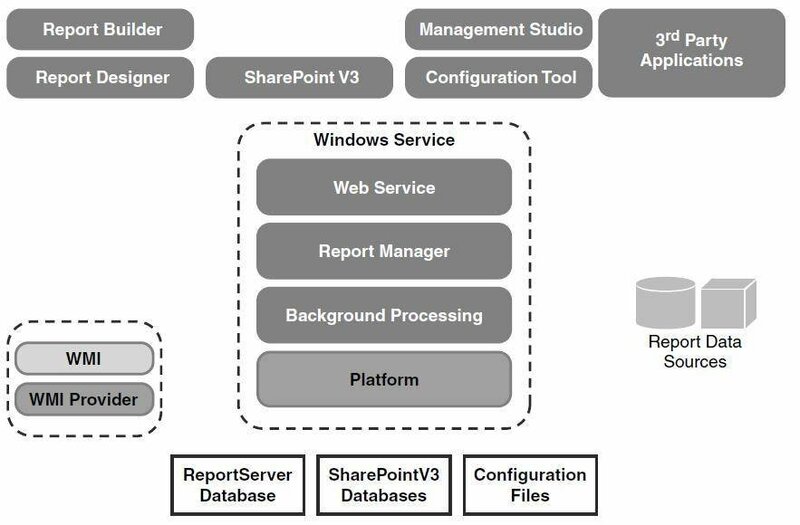 Compared to the SSRS2K5 architecture in Figure 4.1, the Report Manager application and the Report Server web service have been combined into a single Windows service in Figure 4.2. The box called Platform represents the core capabilities that IIS used to handle for SSRS2K5 but are now managed natively by Report Server. Figure 4.3 shows a summary of these capabilities. 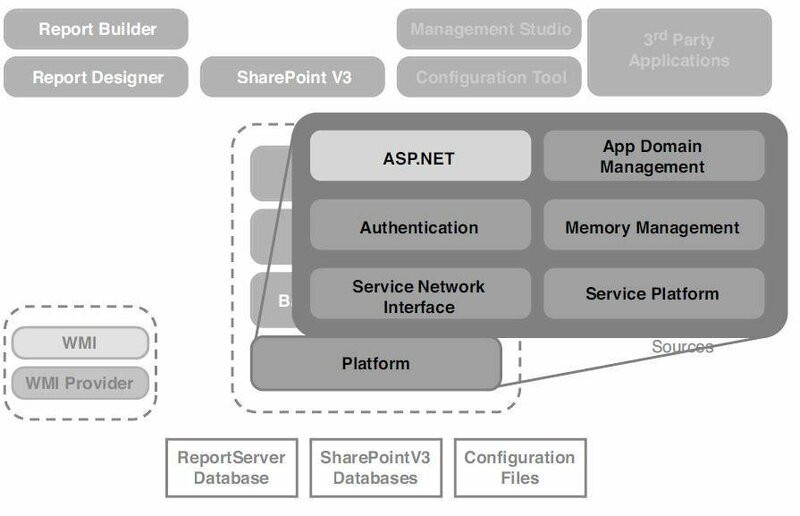 FIGURE 4.3 Report Server native platform capabilities. The impact of removing the SSRS dependency on IIS is described in Chapter 2, "Reporting Services 2008 Architecture." 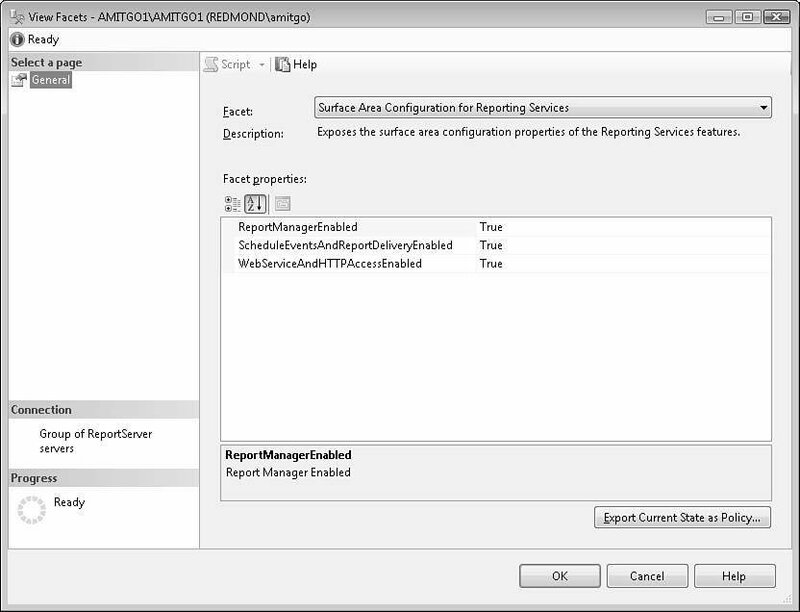 The Reporting Services Configuration Manager enables you to configure Report Server settings. In SSRS 2008, it has usability enhancements such as wizards to configure the Report Server database and credentials. Figure 4.4 shows the Report Server database summary page. Because IIS is no longer needed with SSRS 2008 and Report Server handles Hypertext Transfer Protocol (HTTP) communication, the Configuration Manager enables administrators to configure the Report Server and Report Manager URL (see Figure 4.5). SQL Server Management Studio (SSMS) is the primary tool for SSRS administrators to manage one or more Report Server instances. Administration covers enabling server features, setting server properties and defaults, defining roles, creating schedules, and job management. 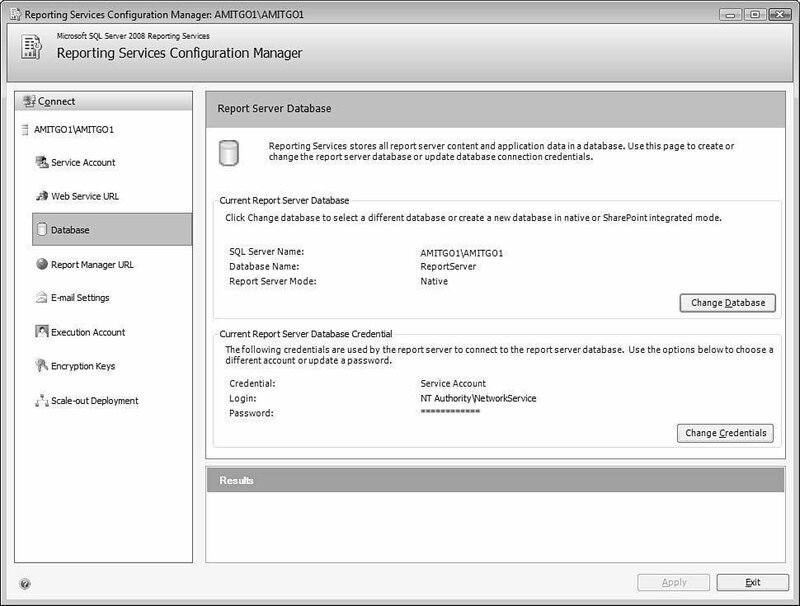 FIGURE 4.4 Reporting Services Configuration Manager: Report Server DB. 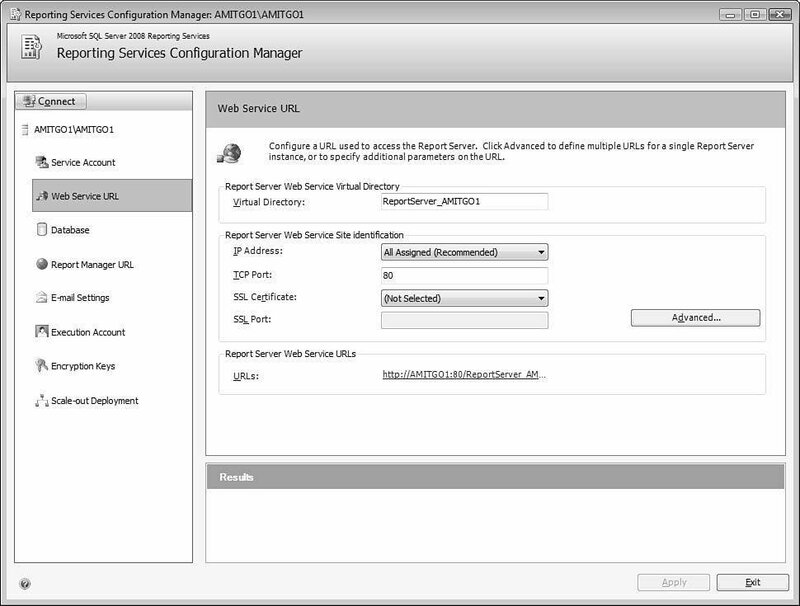 FIGURE 4.5 Reporting Services Configuration Manager: URL reservation. Server in SharePoint mode. If you are going to use SSRS in SharePoint integrated mode, Chapter 34, "Tools Support for SSRS Integrated with SharePoint," provides more information about tools that support SharePoint integrated mode. A Report Server system Properties dialog box has been added. Right-click the connected Report Server name and choose Properties to launch the dialog box. It has pages to view and set properties for execution, history, logging, and security. 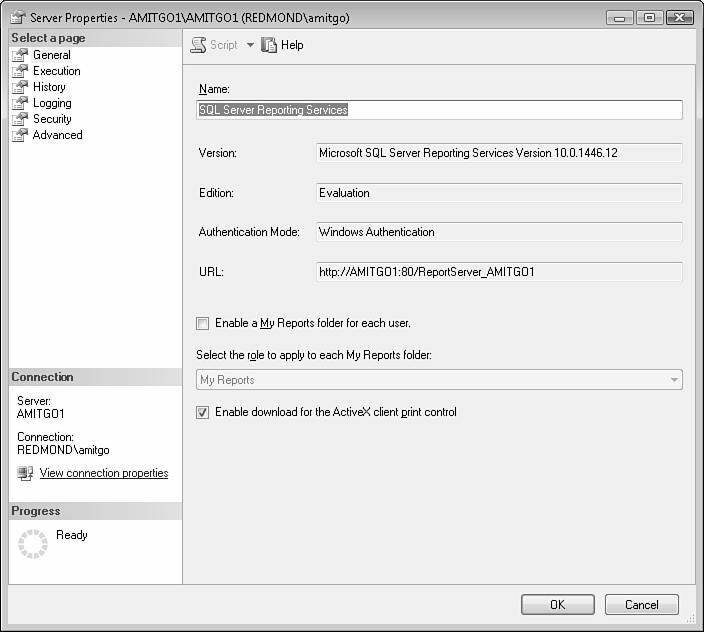 A General page shows the SSRS version, edition, authentication, and Report Server URL (see Figure 4.6). An Advanced page shows all the properties, and it is the fastest place to view or edit them in one place (see Figure 4.7). FIGURE 4.6 SSMS 2008: Report Server System Properties General page. A dialog box to enable or disable Report Server features has been added. Right-click the connected Report Server name and choose Facets to launch the dialog box. It has a page to allow the administrator to enable or disable Report Manager, SSRS web services, and report scheduling and delivery (see Figure 4.8). 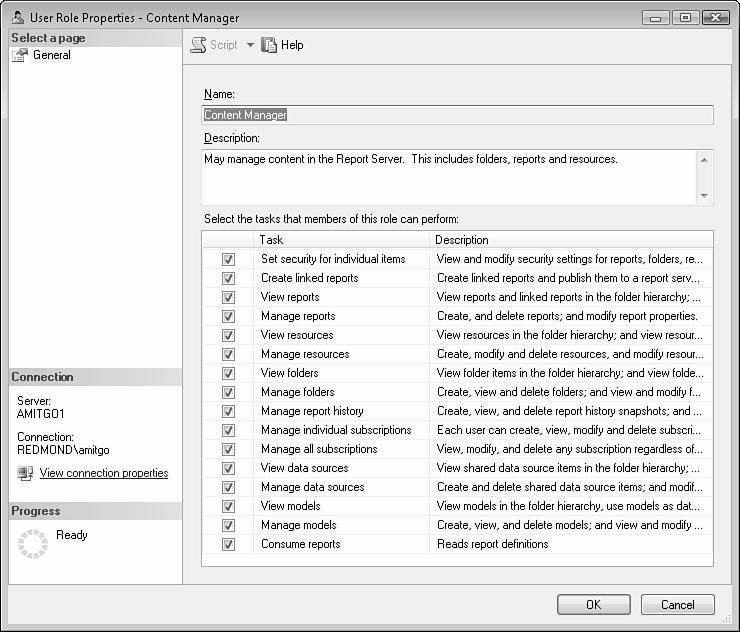 Report content management has been removed from SSMS in 2008 (see Figure 4.9; the Home node from SSRS2K5 is no longer there). Therefore, SSMS cannot be used to assign permissions or to manage reports, models, data sources, or subscriptions. These management features continue to be available from Report Manager (in native mode) and the SharePoint user interface (in SharePoint mode). The purpose behind this change was to avoid duplication of features in the Report Management tools and the Report Server Administration tool. 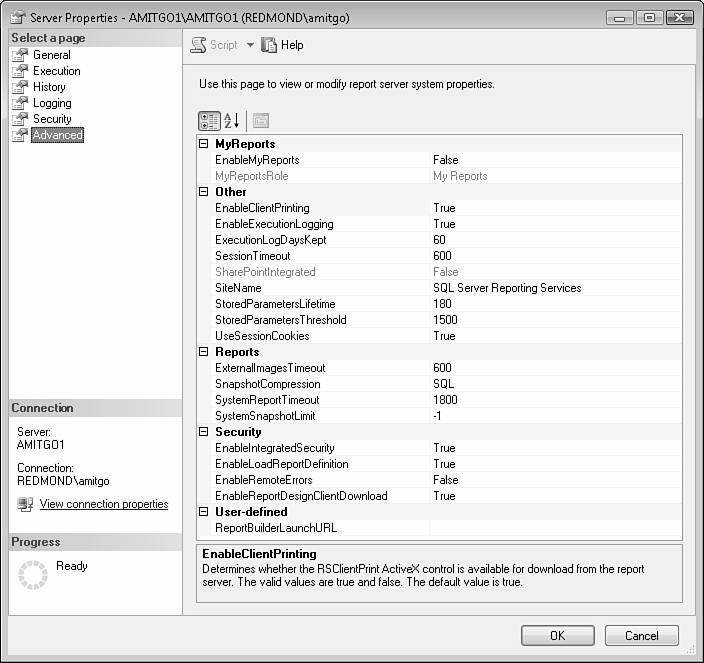 FIGURE 4.7 SSMS 2008: Report Server System Properties Advanced page. 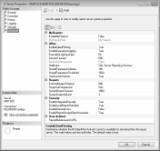 FIGURE 4.8 SSMS 2008: Report Server Facets page to enable or disable features. FIGURE 4.9 Report Server tree view in SSMS 2008. Job management has been added so that administrators can view scheduled jobs and cancel them if needed. Note that there is a Cancel All Jobs menu option on the Jobs folder. Roles management and the ability to create shared schedules continue to be supported in SSRS 2008.